For additional information on herbicide injury to plants see “Diagnosing Herbicide Injury on Garden and Landscape Plants”, ID-184-W. The Office of the Indiana State Chemist (OISC) is actively investigating reports of possible herbicide damage to such trees and has a number of properties undefined which they will visit, take samples, and then conduct their own lab tests for the presence of the chemical. The damage appears to be isolated and very spotty with one or two trees showing possible damage, while others immediately next to them do not. Some of the samples submitted by IPLLA members also show the presence of the disease Needlecast and/or mite damage. At present, there does not seem to be a recommended course of action coming from DuPont as how to treat the affected trees to aid their recovery. As of this writing, the OISC has not issued a Stop Sale Order banning the use of Imprelis and will not consider doing so until their field investigations are complete. IPLLA Members should not send samples of potentially damaged trees to the OISC as they will not be accepted. The OISC must take the samples themselves as they are working hard to be sure this investigation is uniform in every respect. DuPont has provided your supplier with a reporting form which you should now have if you purchased Imprelis this past spring. If you suspect damage, then this form should be completed and returned as directed. Finally, I would urge all members to keep very thorough records of any suspected damage. Talk with the customer, take photos, and send samples to the Purdue University Plant, Pest, and Diagnostic Lab (PPDL) to determine if the plant also is suffering from disease or insect damage. IPLLA will continue to monitor this situation and keep you up-to-date. As many of you know, there have been questions in recent days regarding the uptake of Imprelis herbicide by particular evergreens, specifically Norway Spruce and White Pines. At the same time, members are reporting significant drought damage to the same varieties as a result of extended dry weather in 2010. Today, the Department of Agronomy at Purdue University released a Turf Tips Report regarding herbicide damage on Spruce and Pines. The link is below. If you have used Imprelis since it was introduced this spring, we would suggest you forward any questions you may have regarding potential damage to such trees, directly to your supplier. Comments are open. You can comment by clicking the button below. We are now in the process of printing the registration program for the 2011 Summer Field Day to be held on August 25, 2011 at the Hendricks County Fairgrounds and Conference Center in Danville. This will be an outstanding educational opportunity and you’ll be hearing much more about it in the next two months. What I want to talk about today is the evolution of the Field Day, our association, and our industry; over the course of the 25 years we have held the Summer Field Day. When the Indiana State Lawn Care Association was founded in 1987, the lawn and landscape industry was really just coming out of infancy. We really did not have much in the way of professional tree care. The irrigation industry was extremely limited in customers to very wealthy property owners. Other than professional sports, no one except the parents really paid much attention to athletic fields, and professional tree care was pretty much limited to those who needed something cut down. We also did not have much oversight or groups who were concerned about what our industry did, or why we did it. When I started my lawn care company, the whole objective was simply to do what Chemlawn did, but at a lower price! Our first few Field Days reflected the industry. As I recall, we had about 100 people attend, about 15 or so exhibitors, and all we talked about in our education program was weed control and more on weed control. There was nothing wrong with this, we were just a fairly new industry and very limited in scope. My, how we have changed. The original Indiana State Lawn Care Association became the Indiana Professional Lawn & Landscape Association in 2001 in response to a change in the make-up of membership that was precluded by a change in the make-up of our industry. As more homeowners realized the benefits of a professional lawn care service, the same customer recognized that other landscape services might be helpful as well. Perhaps some firm could mow their lawn? Maybe it would be easier to install and in-ground irrigation system rather than dragging around sprinklers? If your lawn benefited from professional care, why not your trees? At the same time, office buildings and shopping centers recognized that a well maintained landscape drew in customers and made the commercial development more compatible with their residential neighbors. Athletic Directors began to understand the value of safe and attractive sports fields. The building of golf courses literally outgrew the number of people who played golf. Pond and lake management grow in importance. As all this happened, our association changed. Thus our educational programs and focus of membership has changed as well. When you attend the 25th annual Field Day, you will get more than just your required CCH’s--you will be exposed to those changes that have happened since 1987 and to those which we expect to happen in the second 25 years of this industry--and this ever evolving trade association. Welcome to Spring, I guess. Welcome to spring, I guess. The next few weeks should warm up a bit and allow us to go about our business. I have a few unrelated items to share with you this month, so please don’t look for a theme. From all we can tell, anti-phosphate legislation is dead in this session of the Indiana General Assembly. Our legislative relations efforts certainly paid off. Also, the five-week walkout of the Democratic caucus put so many pieces of legislation on hold that hopefully our elected representatives will stick to the important stuff in the remaining month of this session. No matter what your party affiliation, the recent shutdown of the General Assembly was inappropriate behavior. Spending a month in Illinois is not why they were elected. All of us have the right to see them on the job and working to represent the total community’s welfare. This was not the case and once again reinforces why we citizens have such a poor level of respect for politicians in general. The full extent of drought damage is now making itself apparent as the landscape begins to green up. There should be a good deal of business for IPLLA members. Property owners are going to need help, and I see a large number of new customers entering the market simply because they really don’t have the tools or knowledge to deal with what is indeed dead grass. This is a great opportunity for you if you are prepared to address customer needs in a timely manner. If you have not done so already, please take time to sit down with your suppliers and plan your 2011 needs for fertilizers, seed, and chemicals. Given the increase in business and what already is turning into a shortened spring, many suppliers are facing back orders and shipping issues. Don’t find yourself at the end of the line when you really need product or equipment. One of our trucks has already been stopped by a state chemist field investigator, which reminds us that they are out there and working to enforce state law. Be sure your employees are properly licensed if they are required to be. Have appropriate labels and written instructions onboard the vehicle, and make sure applicators are outfitted with required personal protective equipment. Doing our jobs right is our responsibility as IPLLA members. 2011 membership certificates have now been mailed. If you have not received yours, please contact me by email at admin@iplla.com or call the office at (317) 575-9010 so I can get a replacement certificate to you at once. Display your certificate in a prominent location in your office. Thank you again for your support of your trade association, and don’t forget to visit our new website at IPLLA.com. As we prepare for another and hopefully successful season, I want to revisit an issue which comes up every year--that is the collection of Indiana Sales Tax on the sale of lawn and/or tree care treatments. The Indiana Department of Revenue has consistently enforced the law--that sales tax is to apply to the gross income received from each lawn care application. The same holds true for tree and shrub applications. Let me be clear on this as, after many years of enforcement, there still seems to be considerable question about when you are required to collect sales tax and when you are not. In the case of lawn care and tree care applications, you definitely are required to do so and on the entire amount of the sale. Such applications are considered to be unitary transactions; meaning that they are the sale or purchase of a tangible good or service under a single agreement for which a total combined charge is calculated. Virtually every lawn care company I know sells services “by the application” and charges a single price for both product and labor to apply it. Under Indiana law, this means that you must collect 7% of the total price charged for Indiana Sales Tax. At the same time, most lawn care operators do not pay sales tax when they purchase chemicals or fertilizers. When those products are then sold as a part of the entire treatment, sales tax is to be charged to the customer. Sales tax does not need to be charged when the service consists of labor only--such as mowing or core aeration. Each season I hear of more than one of our members who make the mistake of not including sales tax on the total amount for their application sales. After an audit by the Department of Revenue reveals this, they face paying the tax, which they failed to collect, as well as any penalties involved. Don’t get caught off guard here. 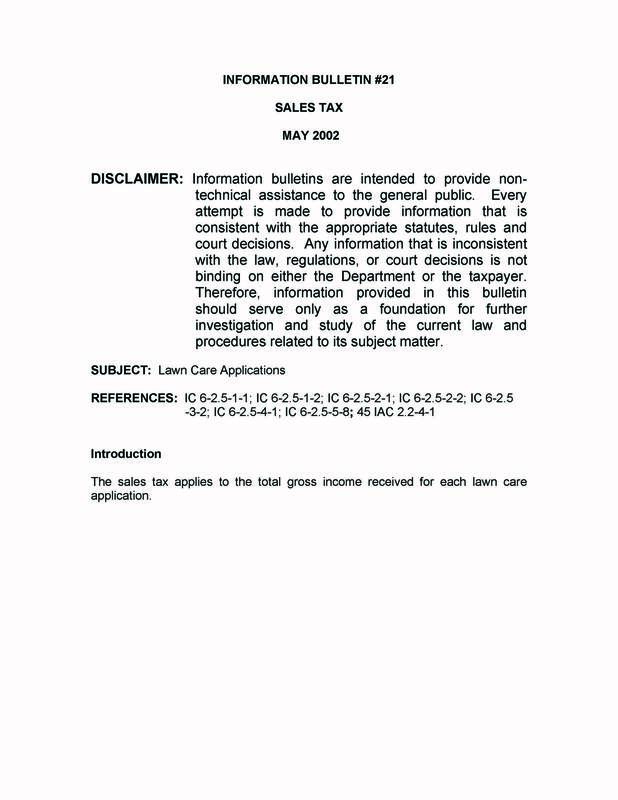 Refer any questions you may have to your accountant who can then research Information Bulletin #21 dated May 2002 by the Indiana Department of Revenue. Over the past say 15 years, the use of granular fertilizers in lawn care has grown dramatically along with the quality and competitive cost of the product. Granular fertilizer is easier to use, does not require expensive sprayers, and can be applied more quickly than a completely liquid application. The introduction of ride-on equipment has made the use of granular fertilizers even more popular. Along with such popularity comes problems. Here is a big one. Granular fertilizer applications almost automatically land on the "impervious" surfaces around the lawn. Driveways, sidewalks, and the street end up being treated along with the lawn. Guess what? They do not grow as a result. However, they do act as a direct path from that "impervious" surface to the lowest spot around them. That lowest spot often ends up being a sewer, drainage tile, pond, or stream. And that is what must stop. When you apply granular fertilizers, you need to then remove them from the walks, drives, and other hard surfaces around them. The Indiana State Chemist Office considers granular fertilizer on paved surfaces as a violation of the product label since such fertilizer is labeled for use on turf, not concrete. Increasingly, local governments will cite an applicator if the product ends up entering a body of water or storm sewer. The answer to this issue is simple. Buy a leaf blower. Have one in each truck. Use them as a part of the application. When done spreading blow the excess back onto the lawn. In other words, do not give a regulatory agency or local government an easy reason to fine you for something that is also easy to control. The Indiana General Assembly is now in session and legislation has indeed been introduced which would put limitations on the use of phosphate fertilizers in lawn care. Introduced by Representative Richard Dodge of Angola; House Bill 1425 (http://www.in.gov/legislative/bills/2011/IN/IN1425.1.html)places restrictions on fertilizer containing phosphorous. Here are some of the objectives stated in the proposed legislation. If enacted, the bill would be applicable to fertilizers that contain more than sixty seven hundredths of one percent of phosphorous per weight. If passed, no lawn care application containing phosphorus could be applied for any reason from December 1 through March 1. No lawn care fertilizer may be applied to an impervious surface, and if it is, the product must be removed immediately. If the ground surrounds a body of water, no fertilizer shall be applied closer than 10 feet if the ground is flat or slopes away from the water and no closer than 20 feet if the ground slopes towards the body of water. Fertilizer contain phosphorous can be applied for the purposes of establishing a new lawn or a lawn that is deficient in phosphorous as determined by a soil test performed within he last 36 months. The proposed legislation would affect both professional lawn care applicators and the homeowner. The Indiana Professional Lawn & Landscape Association opposes this legislation for a variety of reasons. The legislation is based upon the supposition that phosphate fertilizer run-off increases algae bloom in lakes, ponds, and streams. We do not agree with that contention and do not believe that comprehensive studies show a true correlation between phosphates and an increase in algae bloom. Phosphate fertilizers play an important role in contributing to the long term health of the grass plant. Omitting it completely will ultimately result in a weaker plant and thinner stand of grass. Our belief is that a thicker turf stand reduces runoff and that a thinner and weaker stand will increase runoff and thus the potential for pollution. The use and application of turf fertilizers in Indiana, is regulated by the Office of the Indiana State Chemist and the Indiana Fertilizer Advisory Board. This legislation would be in conflict with current regulation and cause confusion within the lawn care industry. The legislation is anti-small business. It would increase our costs by requiring a soil analysis prior to the use of phosphates. Such costs would also need to be passed on to the customer thus unnecessarily increase their cost of lawn care service. Such legislation is not enforceable. Our association categorically rejects new legislation or regulation that does not provide a reasonable method of uniformly enforcement of its provisions. Finally, IPLLA believes that the real target of such legislation is fertilizer in general, not just phosphate fertilizers. This type of legislation is simply a first step in reducing the overall use of fertilizer in the green industry. IPLLA has met with the legislators involved and is working closely with our legislative affairs representatives in the Green Industry Alliance. We also need your full support in this effort. Please be sure and contact your local State Representative and State Senator and make clear your opposition to Indiana House Bill 1425. 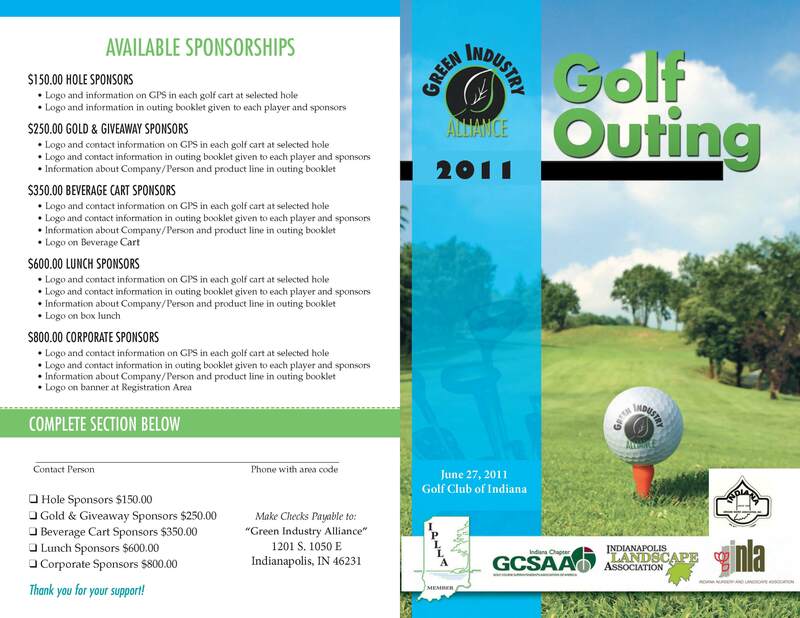 Thank you for your continued involvement in the Indiana Professional Lawn & Landscape Association. I know it's happy because 2010 is over and hopefully the drought along with it. I would imagine most of us will be spending a good deal of 2011 correcting the damage done by that extraordinary period of dry and hot weather. The Indiana General Assembly will be starting its long session later this week and we will be watching for any legislation affecting the lawn and landscape industry. Our legislative affairs firm, The Corydon Group, does expect to see bills introduced affecting phosphate fertilizer use and immigration reform. Both of these issues are important to various parts of our industry and we certainly will be there to offer our views on the potential impact of new legislation. The Green Industry Expo is scheduled for January 18-19 at the Indiana Convention Center in Indianapolis. This is always a good opportunity to catch up on new products and equipment in the green industry and I hope you will take the opportunity to attend. Please contact the Midwest Regional Turf Foundation for registration information and stop by to visit with IPLLA in Booth #112. All current members of the IPLLA should have received your 2011 Dues Statement in early December. If you have not already done so, take time now to renew your membership. We need everyone involved in the effort to both maintain our ongoing involvement in legislative affairs as well as the high quality of our various educational events. We'll look forward to seeing you soon and good luck as you prepare for the upcoming season. WEST LAFAYETTE, Ind. undefined Gov. 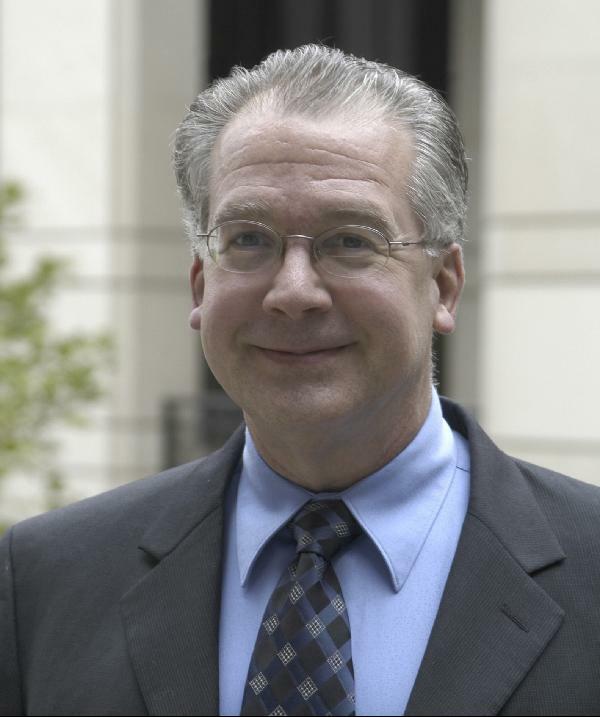 Mitch Daniels has appointed Robert Waltz of Indianapolis as Indiana state chemist. He will manage the Office of the Indiana State Chemist and Seed Commissioner located at Purdue University. The office administers laws covering animal feeds, fertilizers, pesticides and seeds in the state. The agency is charged with ensuring food safety, user safety, proper labeling and protecting the environment. Waltz has been state entomologist and director of the Division of Entomology and Plant Pathology at the Indiana Department of Natural Resources since 1988. In his new capacity, he also will retain the title of state entomologist. “Waltz is a great scientist and a seasoned administrator with leadership and regulatory experience,” said Randy Woodson, Glenn W. Sample Dean of Agriculture. Purdue Agriculture operates the Office of the Indiana State Chemist and Seed Commissioner in a pairing that benefits Hoosiers. “ This office provides science-based regulation combined with a strong educational component that aims to protect and serve Indiana residents,” Woodson said. He said maintaining the office at Purdue gives the state agency access to international-quality resources and expertise.
" Faculty often consult with the state regulators on current issues, giving them the latest in scientific knowledge regarding those areas in which they have oversight," Woodson said. Waltz serves on several state and national panels. He is vice chair of the Indiana Pesticide Review Board and serves on the Gypsy Moth Slow the Spread Foundation board, the national emerald ash borer science advisory panel and the National Plant Board. He also is a former chairman of the Exotic Species List Committee for the Entomological Society of America and past president of the Indiana Academy of Science. Waltz has a bachelor's degree in natural resources and environmental sciences and master's and doctoral degrees in entomology, all from Purdue. He is a native of Richmond. Waltz replaces Rodney Noel who has served as interim state chemist and seed commissioner since June 30, 2005, when Alan Hanks retired from the post.